When one thinks of Music Row, it is impossible not to conjure up thoughts of Music City’s Royal Family, the Bradleys. Last night, Leadership Music awarded the prestigious Dale Franklin Award to Owen, Harold, Patsy, Connie & Jerry Bradley. The annual award recognizes music professionals who exemplify leadership qualities. The Bradley family is most certainly deserving of that title. Owen and his brother, Harold, were among the first to build independent recording studios in Nashville and, in particular, built the famous Quonset Hut studios in 1955 at 804 16th Avenue South. The famous studio was the birthplace of the Nashville Sound, rockabilly, and spawned many notable recordings by Webb Pierce, Kitty Wells, Ernest Tubb, the Wilburn Brothers, Bill Anderson, Loretta Lynn, Conway Twitty and Patsy Cline. Famous tunes recorded there include Sonny James’s “Young Love” and Gene Vincent’s “Be-Bop-a-Lula” (both Capitol, 1956), Marty Robbins’s “Singing the Blues” (Columbia, 1956), Ferlin Husky’s “Gone” (Capitol, 1957), Conway Twitty’s “It’s Only Make Believe” (MGM, 1958), Mark Dinning’s “Teen Angel” (MGM, 1959), and Johnny Horton’s “The Battle of New Orleans” (Columbia, 1959). Owen passed away in 1998 and is the subject of one of Music Row’s most notable pieces of sculpture just off the circle at Demonbreun. The Curb Foundation is currently renovating and restoring the Quonset Hut Studio for tours and use by students in Belmont University’s music industry program. Jerry Bradley started with his father Owen in the Bradley Barn, a studio located in the outskirts of Nashville in Mt. Juliet, Tennessee. The Bradley Barn produced such notable artists as Gordon Lightfoot, Joan Baez and other pop acts. Jerry went on to head the RCA label in Nashville, developing the successful “Outlaw” concept with Willie, Waylon, Jessie Colter and Tompall Glasser. From there, Jerry took over the reins of Opryland Music Group and Acuff-Rose Music Publishing for awhile and then went to work in the publishing end of the business. Connie Bradley, Jerry’s wife, is a leader in the music industry as senior vice president of ASCAP. She has been honored many times, including being named “Lady Executive of the Year” by the National Women Executives and recipient of Nashville Symphony’s 2006 Harmony Award just to name a few. She is frequently identified by Nashville magazines and publications as one of the most powerful people on Music Row, male or female! Together with last year’s Dale Franklin Award recipient, Ms. Frances Preston, Patsy Bradley was instrumental in starting the Nashville office of BMI, and retired as assistant vice president of that organization. Other members of the Bradley family currently active in the industry include Clay Bradley, who is a recording executive at Sony Music’s Nashville operation and Bobby Bradley Jr. who is a studio engineer. Troy Tomlinson, who worked for Jerry Bradley at Acuff-Rose and is now CEO of Sony/ATV Publishing in Nashville, gave one of the most enjoyable keynote speeches of the event, which actually came across as more of a roast! Tomlinson noted that among the five Bradley family members honored — each individually having between 30-50 years of involvement in Nashville, — they have over two centuries of influence on Music Row. Truly a remarkable achievement. The award dinner was held at Loew’s Vanderbilt. On hand to honor these remarkable leaders were artists influenced by them, including Ronnie Milsap, Kenny Chesney, Kelly Pickler, Gretchen Wilson, Lee Ann Womack and Mandy Barnett. One of the most stirring performances for me was Ronnie Milsap singing his 1977 hit single, It was almost like a song, undoubtedly one of the most well-crafted songs ever. Owen and his brother, Harold, were among the first to build independent recording studios in Nashville and, in particular, built the famous Quonset Hut studios in 1955 at 804 16th Avenue South. The famous studio was the birthplace of the Nashville Sound, rockabilly, and spawned many notable recordings by Webb Pierce, Kitty Wells, Ernest Tubb, the Wilburn Brothers, Bill Anderson, Loretta Lynn, Conway Twitty and Patsy Cline. Other famous tunes recorded there include Sonny James’s “Young Love” and Gene Vincent’s “Be-Bop-a-Lula” (both Capitol, 1956), Marty Robbins’s “Singing the Blues” (Columbia, 1956), Ferlin Husky’s “Gone” (Capitol, 1957), Conway Twitty’s “It’s Only Make Believe” (MGM, 1958), Mark Dinning’s “Teen Angel” (MGM, 1959), and Johnny Horton’s “The Battle of New Orleans” (Columbia, 1959). Owen passed away in 1998 and is the subject of one of Music Row’s most notable pieces of sculpture just off the circle at Demonbreun. The Curb Foundation is currently renovating and restoring the Quonset Hut Studio for tours and use by students in Belmont University’s music industry program. 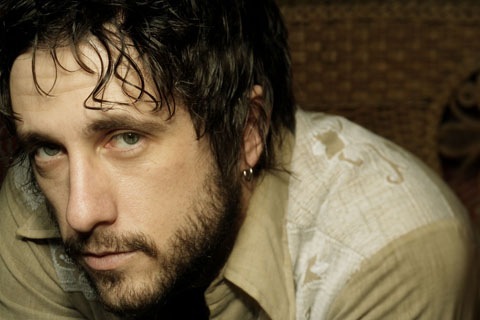 I want to take this opportunity and use this forum to wish Will Hoge and his beautiful family best wishes in this difficult and painful time, and offer my family’s prayers for a speedy recovery. Will was one of my first clients when I started practicing entertainment law in Nashville — I negotiated one of his first publishing deals with Big Fish Entertainment — and he has always been one of my favorites. Hoge is in Nashville’s Vanderbilt University Medical Center following an accident involving his motor scooter. The accident occurred August 21st on Main Street in East Nashville. News reports surfacing today identified his condition as critical, but hospital officials state that he is expected to recover from his serious injuries. Hoge was apparently forced to collide into the passenger side of a Millicare Carpet Cleaning Van, which, according to police, failed to yield at a turn. There was no evidence of alcohol or drugs involved in the accident. Will is without question one of Nashville’s most talented Americana singer-songwriter performers in any genre – just the right blend of grit, rock, country, blues and soul rolled up in a big ball of scruff and playing a Stratocaster! Will, 35 years old and Julia Schmidt have a beautiful 16-month old son, Peyton Liam Hoge. Hang in there Will, and keep on rockin’ for us. 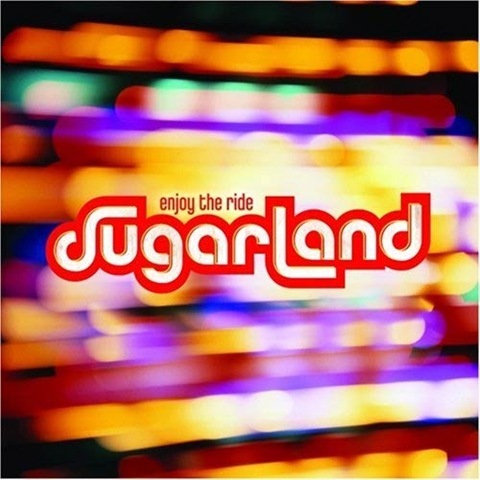 On August 7th, a lawsuit was filed by Kristen Alison Hall, former member of the country band, Sugarland, against the remaining original members of the band, Jennifer Nettles and Kristian Bush. A copy of the complaint can be viewed here. Essentially, the lawsuit alleges that Nettles and Bush breached a partnership agreement between the three members, breached their fiduciary duty to Hall, and failed to account to her for partnership profits. Among other facts alleged, Hall claims that she contributed the trademark, “Sugarland” to the partnership. A search of the trademark database at www.uspto.gov shows that the partnership owns two marks: a service mark for live performances, Reg. No. 2747326, and a trademark for merchandise, Reg. No. 3250679. All three original members, Hall, Nettles and Bush, are identified as the registrants on these marks. More about the lawsuit can be gleened from this article in the Atlanta Journal-Constitution, written by entertainment journalist Shane Harrison, with contributions by Rodney Ho. Yours truly is cited as a resource in the article. This lawsuit provides a dramatic visual aid as to why it is so important for musical groups to plan in advance with regard to issues such as who owns the band name in the event of a dispute. Either a band partnership agreement, or a properly established limited liability company or corporation, can effectively provide for what happens to the name in the event a member leaves. One method I commonly use is to establish a limited liability company and assign the trademark and trade name to the company. Provisions for what happens to a member that leaves the LLC are then incorporated into the Operating Agreement which set forth the procedure for valuing the company’s assets in that instance. Such a structure could have eliminated the need for a lawsuit such as the one that Hall filed against the other two members of Sugarland. If your band does not have a written document dealing with this issue, you should consider retaining an entertainment attorney for such purposes, particular if your band is starting to generate significant income. Through a system of buffers, Cablevision’s RS-DVR will allow customers who do not own stand alone DVR’s to record programming, which resides on Cablevision’s servers, and “time-shift” it to view it at a later date. Certainly a great concept, but one which, in my opinion, should require authorization from the owners of the copyrights. The Second Circuit’s error is grammatical in nature: it misinterprets the language of the definition of “fixed” by assuming that the phrase “for a period of more than transitory duration” modifies the words “permanent or stable” when in fact it actually modifies the antecedent phrase “permit it to be perceived, reproduced or otherwise communicated.” This is certainly the case with regard to the RS-DVR – it fixes the copies for in sufficiently permanent state in one buffer (i.e. the 1.2 seconds) to permit them to be reproduced in another buffer for a period of more than transitory duration. Thus, the court got it wrong. Without getting into too much detail, the court also incorrectly analyzes a 9th Circuit cases, MAI Systems and its progeny which correctly apply the definition of fixed to a copy of a work created in RAM memory for a period of minutes. The effect of this misinterpretation is to put legal practitioners in the precarious position of trying to determine at what point between 1.2 seconds and 2 minutes does a reproduction arrive at a “more than transitory” state. Ironically, the Second Circuit ignores the U.S. Copyright Office’s analysis of this precise issue in its 2001 report on the Digital Millennium Copyright Act which elaborated that a work was fixed “unless a reproduction manifests itself so fleetingly that it cannot be copied, perceived or communicated.” This clarification is in line with my earlier interpretation that the phrase “more than transitory in duration” modifies the communication or perception, not the embodiment itself. The Second Circuit stated that, in its mind, the U.S. Copyright Office’s interpretation “reads the ‘transitory duration’ language out of the statute.” To the contrary, however, it is the correct interpretation in that it incorporates the transitory duration requirement into the appropriate section of the definition. Finally, the Second Circuit completely ignores the last sentence of the definition, to wit: A work . . . is “fixed” for purposes of this title if a fixation of the work is being made simultaneously with its transmission.” In this instance, the court readily admitted that an unauthorized copy of the work was stored, i.e. “fixed” on Cablevision’s servers simultaneously with its transmission. When is an infringer not an infringer? the hard disks of Cablevision’s Arroyo Server, its creation unauthorized by the copyright holder. The question is who made this copy. If it is Cablevision, plaintiffs’ theory of direct infringement succeeds; if it is the customer, plaintiffs’ theory fails because Cablevision would then face, at most, secondary liability, a theory of liability expressly disavowed by plaintiffs. Emphasis mine. The first thing to note about the court’s conclusion is that it realizes, right off the bat, that the copy created on the servers of Cablevision is an infringement. In its mind, however, the only question is who made the copy. Now, that, of course, flies directly in the face of a host of copyright concepts which I will not address here, but suffice it to say that this is problematic. There are only two instances of volitional conduct in this case: Cablevision’s conduct in designing, housing, and maintaining a system that exists only to produce a copy, and a customer’s conduct in ordering that system to produce a copy of a specific program. In the case of a VCR, it seems clear–and we know of no case holding otherwise–that the operator of the VCR, the person who actually presses the button to make the recording, supplies the necessary element of volition, not the person who manufactures, maintains, or, if distinct from the operator, owns the machine. We do not believe that an RS-DVR customer is sufficiently distinguishable from a VCR user to impose liability as a direct infringer on a different party for copies that are made automatically upon that customer’s command. exists between making a request to a human employee, who then volitionally operates the copying system to make the copy, and issuing a command directly to a system, which automatically obeys commands and engages in no volitional conduct. Is this 2001 Space Odyssey? Did H.A.L. take over when I wasn’t looking? Who programmed the system? If Congress had meant to assign direct liability to both the person who actually commits a copyright-infringing act and any person who actively induces that infringement, the Patent Act tells us that it knew how to draft a statute that would have this effect. Every intellectual property attorney worth his or her salt knows that the Copyright Act and the Patent Act are very limited in their usefulness for purposes of using one to interpret the other. That’s why it’s said that the Copyright Act is a strict liability statute, whereas, the Patent Act is not so much. When is work “publicly performed”? under the transmit clause, we must examine the potential audience of a given transmission by an alleged infringer to determine whether that transmission is “to the public.” And because the RS-DVR system, as designed, only makes transmissions to one subscriber using a copy made by that subscriber, we believe that the universe of people capable of receiving an RS-DVR transmission is the single subscriber whose self-made copy is used to create that transmission. Emphasis mine. Whereas the Second Circuit zeroed in on the phrase “to the public” in making its determination, the definition clearly intends to define public performance as any process that allows the public, in general, the ability to receive the transmission, whether or not it is in the same place or the same time. Its not very difficult to see the fallacy of the Second Circuit’s reasoning. The Cablevision RS-DVR clearly does precisely what the definition anticipates, it creates multiple copies stored in the buffers for individual subscribers in multiple places, who then view the (buffered) transmissions at different times. Nothing in the statute dictates this conclusion, to the contrary, the legislators probably thought that the word “public” was generic enough to not need interpretation. The effect of this ruling, at least for now, is that anyone can make digital copies of any copyrighted work on their servers for purposes of transmitting to an individual customer, so long as that individual customer makes a request for it, and there is no implication of the performance rights. This is a fine example of a court “reasoning” the meaning completely out of a statute. If it is not obvious by now, I think this is one of the most poorly reasoned and drafted opinions by a Circuit Court that I have read in a long time. If there is a bright side, it is that the effect of this decision is primarily that it overturns the grant of a summary judgement by the lower court. From a broader perspective, however, and the more unfortunate result is that, because of the concept of stare decisis, this reasoning can now be cited in other cases in other jurisdictions across the country as good law. So, unfortunately, we entertainment attorneys will be dealing with the negative impact of this decision for some time to come, until perhaps some higher court, in this case the Supremes, decides to rectify it.